Last night at the 14th annual Visual Effects Society awards, The Revenant won in the strongly contested category Outstanding Supporting Visual Effects in a Photoreal Feature. 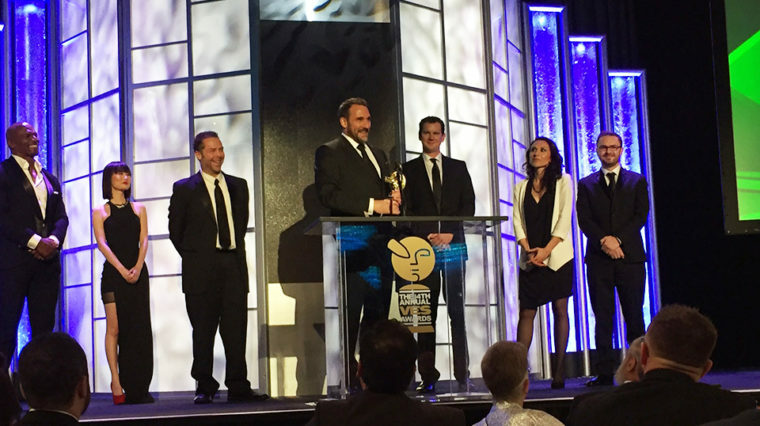 Cinesite Visual Effects Supervisor Nicolas Chevallier was on stage to collect his first VES award, alongside production Visual Effects Supervisor Rich McBride. The Revenant won a deserved three trophies throughout the evening. Congratulations to Rich, Ivy and all the other winners on the night.